Scott Guthrie, Microsoft's executive vice-president of cloud and enterprise introduced Visual Studio Code at Microsoft Build 2015 conference held on Wednesday. 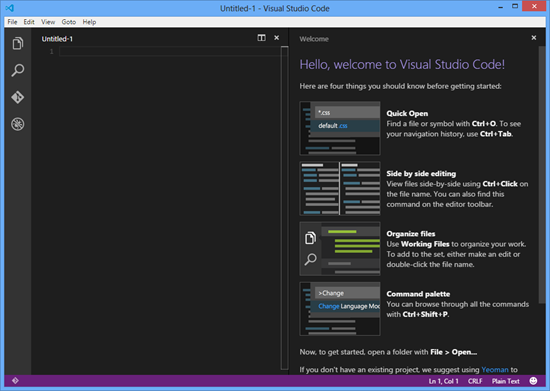 Visual Studio Code is the first code editor and first cross-platform development tool supported by the OSX, Linux and Windows in the Visual Studio Family. 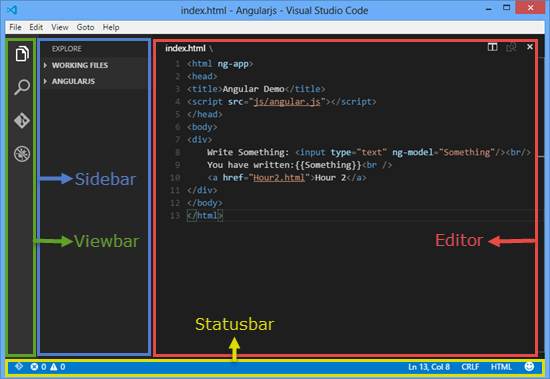 Visual Studio Code provide built-in support for ASP.NET 5 development with C#, Node.js as well as for web technologies such as HTML, CSS, Less, SASS and JSON etc. Go to https://code.visualstudio.com/ and Click on Code for Windows button. 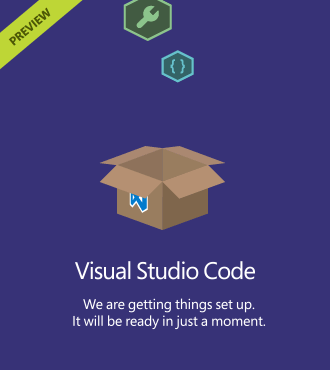 or Go to https://www.visualstudio.com/products/code-vs and Click on Download Code button. Select operating system/platform on which you want to install (Code is free and available on Linux, Mac OSX and Windows). I am going to install it on my Windows 8 Operating System. After Downloading VSCodeSetup.exe (58 MB approx), Double click on setup. It will hardly take 1 minute to complete the installation. Installation Completed Successfully. We are ready to explore its cool feature. 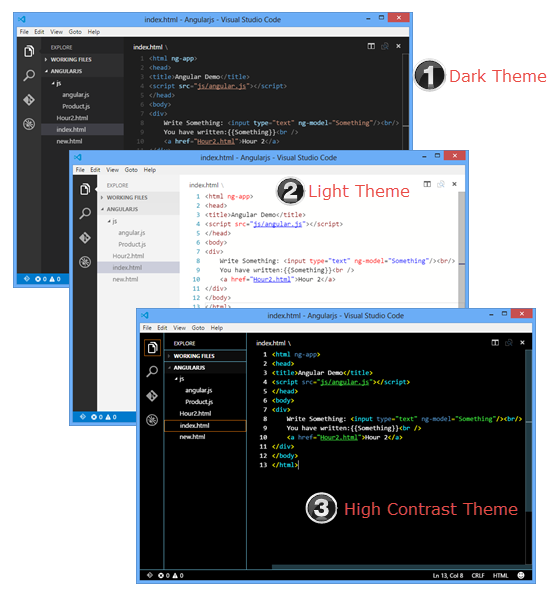 With the help of Command Palette, you can access all the functionality of VSCode. Press Ctrl+Shift+P or F1 to open the Command Palette. VSCode has support for Multiple cursors. You can edit the same file at multiple places by pressing Alt+Click which will add another cursor(much Similar to the Sublime Editor).